The 99-026K contains everything you need to level your jobsite. 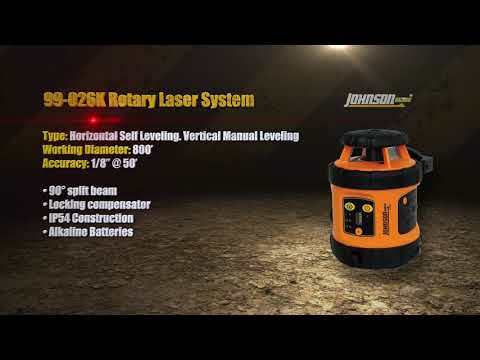 A great starter rotary, or perfect for small residential jobsites. This rotary self levels in the horizontal plane and manually levels in the vertical plane. 800' working diameter- over 11 acres! 6.69" x 4.96" x 6.69"
Perfect for residential excavations, landscaping, fence lines, wainscoting, drop ceilings.